A client needed an exterior of a building in down Seattle. 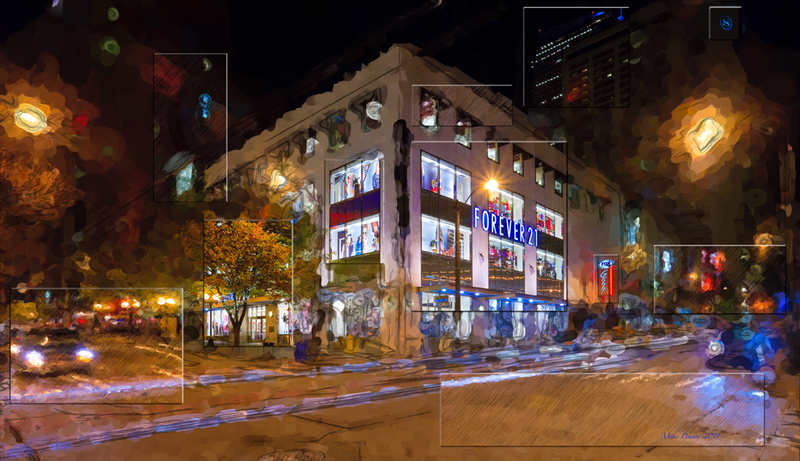 Of course the sun wouldn’t help much when the other buildings cast shadows so I opted for night… but a straight phto didn;t seem to do it justice… So here I have combined 3 paintings with the photo. A giant of a building… St. Marks was hosting an art show on icons. The light on this home was never going to be right. So I just waited until the sun went down and re lit the building.